Bob Lee Automotive is a full service auto repair and smog test center. Since 1970, Bob Lee Automotive has been taking great pride in protecting our customers investments by providing auto repair to people all across Manhattan Beach, Redondo Beach, Lawndale, Torrance and the South Bay area. As a STAR certified smog test and repair center, we are authorized to inspect, certify and repair all vehicles, including those directed to STAR stations. This advantage means you don’t have to drive around town looking for the “RIGHT” type of smog test… we do it all! Right here! Plus, we provide factory scheduled service and maintenance on all import and Domestic vehicle manufacturer’s and models. 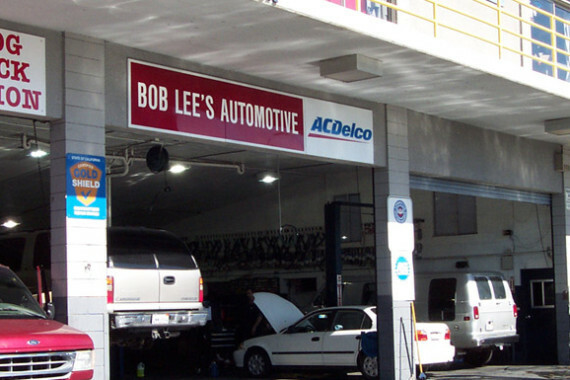 Bob Lee Automotive is truly your one stop shop for professional auto repair and smog test. We are confident we will earn your trust with our care and professionalism while receiving auto repair and services from Bob Lee Automotive. All of our auto mechanics are top ASE Certified professionals that take great pride in their job. We hope you’ll give us the opportunity to serve you the next time your car or truck needs any repair, service or maintenance.